BAY AREA TECHIES: ARE THEY MOVING OUT? A recent survey found that about 40 percent of Bay Area residents are thinking about leaving the region over the next few years. Now comes more sobering news for the Bay Area’s tech economy: Nearly as many tech workers are looking for jobs in other parts of the country. In an analysis of job-seeker activity on its website, Indeed found that 44 percent of all workers in San Francisco and San Jose are looking outside the region for their next position, a number that has grown sharply over the past five years. Thirty-eight percent of local tech workers are looking for jobs outside of the Bay Area, while only 2 percent of tech workers located elsewhere are seeking employment here. San Francisco and San Jose tech workers are among the nation’s shortest tenured, staying at a job between two and three years, well below the national average. 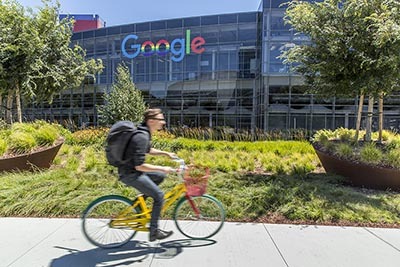 Indeed speculates that since there are about 200 Bay Area tech companies with the potential for initial public offerings this year, many techies may be switching jobs relatively quickly for ambitious opportunities. Workers who are planning to leave the Bay Area may also be motivated by higher salaries in other tech hubs, as Silicon Valley isn’t actually the most lucrative job market. San Francisco’s average $93,171 salary ranks it fourth in the nation for tech wages, while San Jose ranks sixth at $92,577. Then, of course, there is simply the high cost of living, including home and rent prices that rank among the nation’s most expensive. The aforementioned sky-high Bay Area rental costs have slowed on an annual basis, but monthly gains have pushed San Jose up the list of the nation’s most expensive markets for tenants. That’s according to Zumper’s latest national monthly rent report, which says that rent prices for a one-bedroom unit in San Jose is $2,260 in April, up 3.7 percent from March to propel it ahead of Boston as the nation’s third priciest rental market. Two-bedroom prices in San Jose rose by 4.8 percent on a monthly basis to $2,820. San Francisco retained its dubious position atop the list of the nation’s most expensive rental markets, with one-bedroom units fetching an average of $3,320 per month. Oakland moved into the No. 5 position, with one-bedroom units renting for $2,070. While both markets saw rents increase from March, prices were down year over year by 7.5 percent in San Francisco and 11.5 percent in Oakland. More expensive homes and shrinking down payments mean that the average American has a bigger mortgage than ever before. Citing data from the Mortgage Bankers Association, MarketWatch reports that the average mortgage purchase loan is around $325,000, the highest since the organization began tracking that statistic in 1990. Back then, the average mortgage size was about 3.3 times the median annual income compared with more than five times the median income today. And 20 percent down payments are no longer the norm, meaning that homebuyers must borrow more. Last year, the median U.S. down payment was 10 percent for all buyers and 6 percent for first-time buyers. First-time homebuyer activity increased modestly last year, but the Federal Reserve’s recent interest-rate hikes may put the brakes on that trend. A TransUnion survey found that 42 percent of millennials are putting off a home purchase because of the Fed’s December rate increase. Less-than-ideal credit scores are also proving challenging to the youngest generation of homebuyers, along with student debt and high home prices. The Federal Reserve is expected to raise interest rates at least twice more this year, although it plans to do so gradually.